Webb Air Conditioning would be pleased to know your feedback about how we are doing in the business. Let us know your comments and suggestions from Fort Worth, TX and other nearby areas for us to serve you better. Rest assured that we will continue to offer nothing but the best customer service to satisfy your needs. Brandon was great. A very nice young man. Brandon and Victor were so efficient and professional. They cheerfully answered all my questions; explaining in good detail. You are so lucky to have them on your team. Brandon was a gentleman and performed his job well! Thank you! Brandon came by to service my AC system and was excellent! He was courteous very professional. He was SO knowledgeable! He helped me understand everything my thermostat and everything thing I can do. He even assisted me with the App! I had a great experience yesterday but I think I may have been too chatty. Wonderful service!! Brandon appreciates the great review and five stars! Please ask for Brandon next time you need service. I am very satisfied with Brandon. Thank you for your loyalty. We really appreciate it. Exceptional Service, from beginning to completion! I cannot say enough wonderful things about Webb Air. 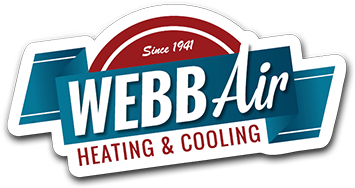 I have worked with other a/c companies in the past and none can compare to Webb Air. My experience with WEBB AIR Conditioning Co. has been such a great one that I could not wait to write a review to let homeowners know... LOOK NO FURTHER! You will not find another A/C Co that is more knowledgable, professional, tidy and friendly at a competitive price. Even my two dogs, who do not care for visitors, felt comfortable with the workmen and give them 5 STARS! When I think of Webb Air Conditioning Company, I think of EXCELLENCE! Very knowledgeable and friendly technician. Thank you for a great review about our technician. We really appreciate it! Brandon did a great job as usual. He even cleaned my return air vents that were 12 feet off the floor for me! Brandon appreciates the great review and five stars. Please ask for Brandon next time you need service. Preformed maintenance for commercial customer. Checked out (5) rooftop package units. Replaced bad blower wheel under manufacturer warranty. Checked system for proper operation.